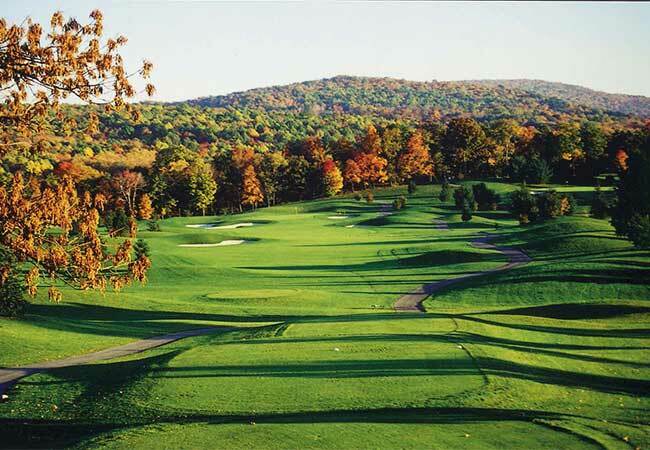 These Western PA golf courses were designed to take advantage of the amazing Allegheny Mountains and Pennsylvania rolling hills that host them. With so many golf courses and resorts to choose from, each with their own special and unique touches, the possibilities for your golfing excursion are endless. All deliver great golf, have fantastic restaurants on site or nearby, and many provide overnight accommodations, so you’re never far from those expansive greens, and give you plenty of time to get in a few holes while still having the chance to explore the rest of the Laurel Highlands. 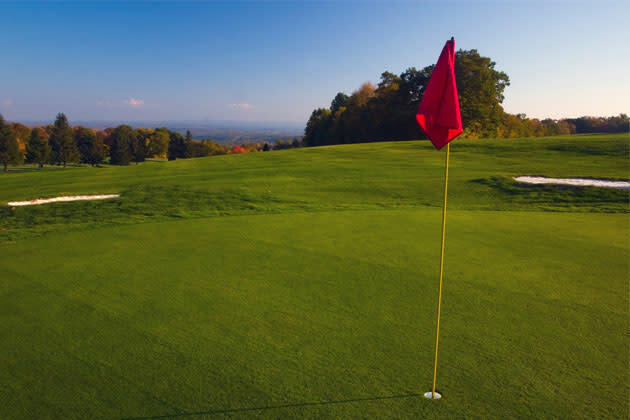 Check out our Pennsylvania golf packages that pair the best of the Laurel Highlands golfing with area hotels and restaurant offers. 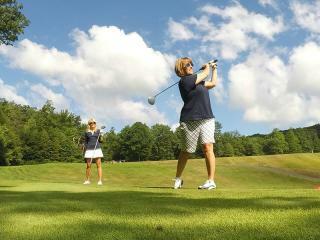 Laurel Highlands golfers have the rare opportunity to play on the very same greens that Arnold Palmer played. The SpringHill Suites by Marriott Pittsburgh-Latrobe, located on Arnold Palmer Drive in Latrobe, offers an exclusive stay and play package with golfing privileges at the private Latrobe Country Club. Guests can drive, pitch, and putt on the course where Palmer learned the game from his father. Guests can also view the memorabilia on display from his amateur and professional golfing careers, making it a golfing experience that you’ll never forget. 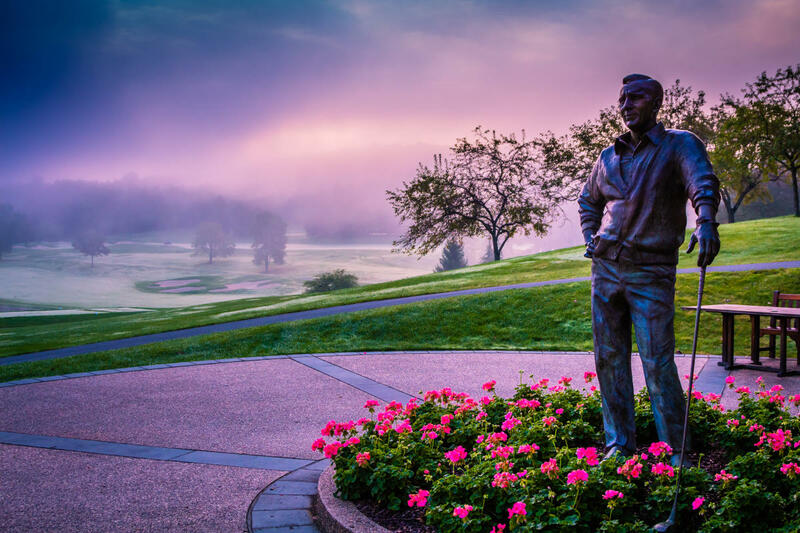 The Laurel Highlands is also home to the very first course designed by Arnold Palmer, “Arnie’s First” at Indian Lake Golf Club. This spectacular 18-hole course with a 6,700 yard layout has Arnie written all over it. 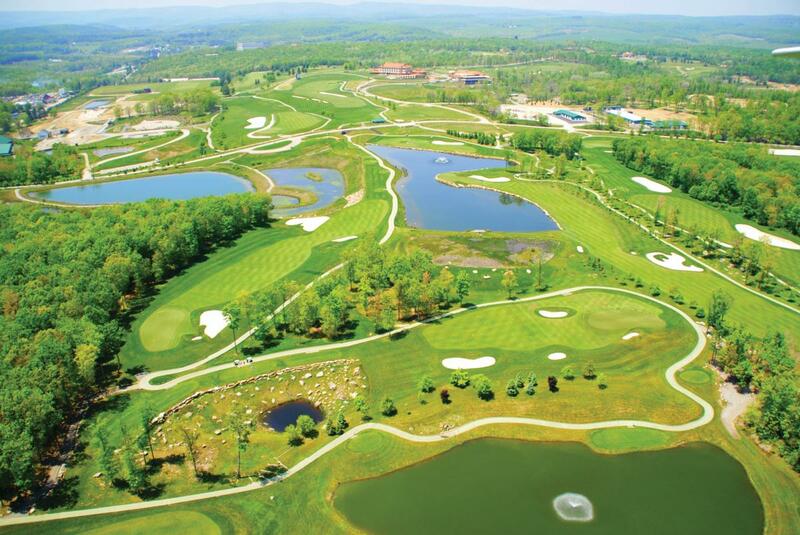 Nemacolin Woodlands Resort has gained notoriety for being home to some of the best holes and courses in Pennsylvania. Designed for serious golfers, Mystic Rock is a challenging course from tee to green and was named one of the top 10 golf resorts in the United States by Conde Nast Traveler. The course was originally designed by world-renowned golf-course designer Pete Dye and recently redesigned with input from several PGA Tour professionals. The course has received top honors from Golf Magazine and Golf Digest. New for 2017: Shepherd&apos;s Rock, Nemacolin&apos;s new Pete Dye-designed championship golf course, is now open. The 7,151-yard layout takes golfers through three ecosystems (wetlands, woodlands and pasture) and is expected to rival the highest-rated golf courses in the country. 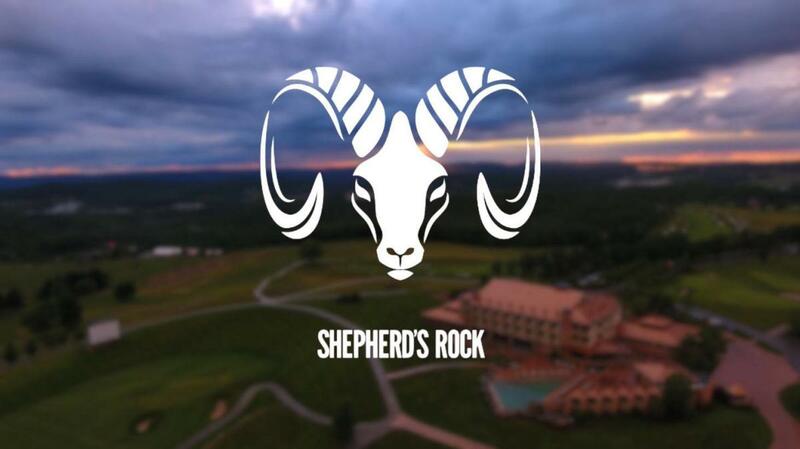 Shepherd&apos;s Rock promises to make golf fun again! Check out Hidden Valley Golf Club for a challenging and breathtaking course. The course sits on top of the 3,000 foot summit with panoramic vistas where you can see more than 20 miles across the mountain range (which really stands out in the fall as the leaves change). The course features dramatic elevation changes and expands across the mountain. Only two of the holes run parallel to each other, which means you’ll see more of Mother Nature than you will other golfers. Play a course that was rated 6th Best Public Golf Course by Golf Digest and has earned a 4.5 rating. 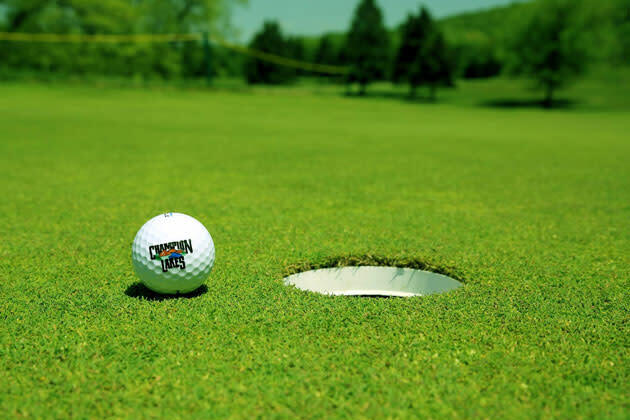 Tom’s Run at Chestnut Ridge Golf Resort offers a unique mix of challenges, starting rather easy but quickly turning into a more difficult game that will require every club in your bag. Bring your A-game! Squeeze in a quick nine at Summit Inn Golf Course, a par 35 mountaintop challenge with an incredible 60-mile view. Stretch your golf outing to an 18, with the additional set of tees to turn your round of golf into a par 72. At just over 6,500 yards, Seven Springs Golf Course maximizes the advantage of the mountain vistas and beauty of the Laurel Highlands. This dynamic course makes for a beginner-friendly game that still presents a challenge for advanced players. Rated among the top 50 public courses in the US and one of only three public golf courses in Western PA to receive a four-star rating by Pittsburgh Post-Gazette golf expert, Gerry Dulac, Champion Lakes is the perfect setting to enjoy a round of golf. This challenging championship course is manicured to country-club standards in an incredibly picturesque surrounding.